This is the revised edition of a list that should grow very long but still has a great deal of room to grow—and additions are welcome. 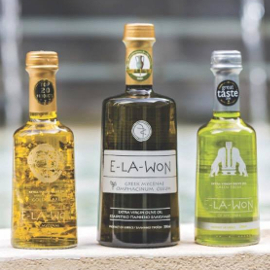 It focuses on where to buy bottled and branded 100% Greek extra virgin olive oils (EVOOs), since these are high quality, healthy olive oils that have their flavor sealed into bottles where oxygen cannot harm its quality. It is, of course, impossible to list all the places to buy Greek EVOOs. I started this list only because I have received a number of queries about where to buy Greek olive oil in various countries, and I would like to have some answers prepared. Thousands have already consulted this list. If you are interested in a particular brand and don’t see it listed here, it may still be available at one of these sources; check the company website to see if it directs you to a consumer outlet. 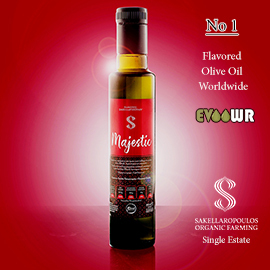 Greek Liquid Gold’s Olive Oil Companies Website Links pages feature links to dozens of Greek companies’ websites, where you can find their contact information if you wish to reach them directly. This list is organized by country: the USA (by state, in alphabetical order), Canada, the UK, then other European countries in alphabetical order, and Japan. Note that I conclude with a list of online shops with Greek EVOOs that can be sent to a number of countries when they include English. I would be happy to add shops from countries not yet listed; I will include online shops only when they have English versions. After the store or website name, I list the brand or brands likely to be available (unless there are many), although I cannot guarantee the accuracy of my information or tell what will be in stock at any point. For that reason, I include phone numbers, email addresses, and/or websites when I have them. Additional Greek brands may also be available at some of these stores; if so, I’d be glad to hear about that. 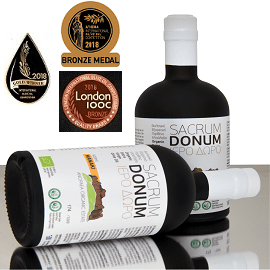 This list of some places to buy standardized Greek extra virgin olive oil is provided as is, without an in-depth investigation of what appears on the list. Some of the brands and items listed may be out of stock at certain times. Greek Liquid Gold offers no guarantees or warranties for the products or services provided and receives no commission for sales related to this list. Comments on which shops and online providers offer high quality products and good service would be welcome, as would additions to this list. This is meant to be a list of consumer retail outlets. 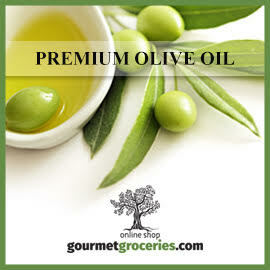 Please do not write to me about wholesalers or brokers, or stores that sell olive oil from very large containers, where the flavor was not sealed into a bottle, with most or all oxygen excluded. 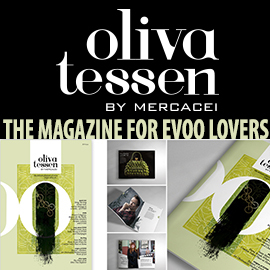 Note that I am not a buyer, seller, trader, or broker of olive oil myself, but a writer. 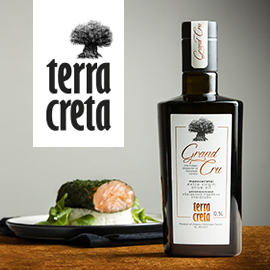 All businesses, organizations, e-shops, and competitions involved with Greek olive oil or agrotourism or food tourism in Greece are now invited to consider new advertising and sponsorship opportunities on the Greek Liquid Gold: Authentic Extra Virgin Olive Oil website, which reaches readers in more than 180 countries around the globe.